Caption - Isle of Man Railway (IOMR) no.4 "Loch" at Santon station with a "Southsider" headboard in September 1979. 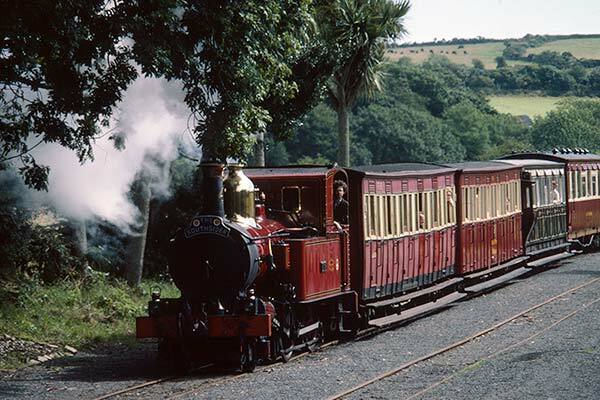 This lovely 2-4-0T was built by Beyer Peacock in 1874 (works number 1416) and is currently out of service (March 2017). The selection of coaches forming the train shows how wooden framed vehicles distort with age! Although a preserved railway, the system still maintained its character and did not feel like a museum operation.